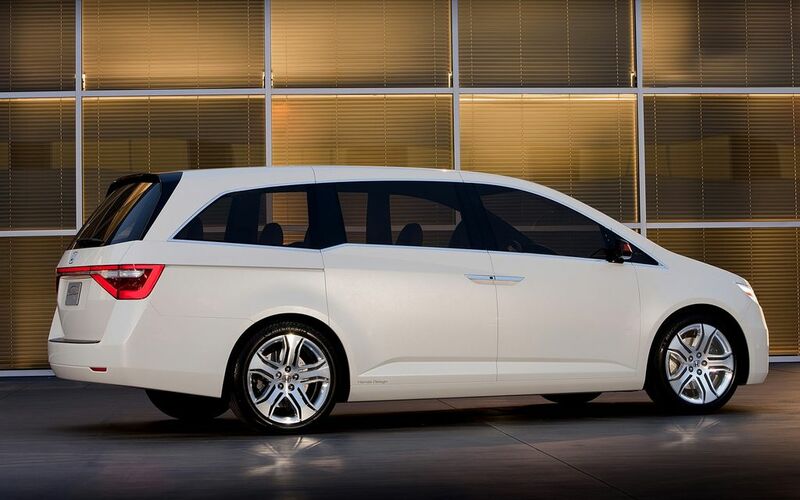 The next-generation Odyssey adds sleek styling, new functionality and higher fuel economy to best-selling minivan. 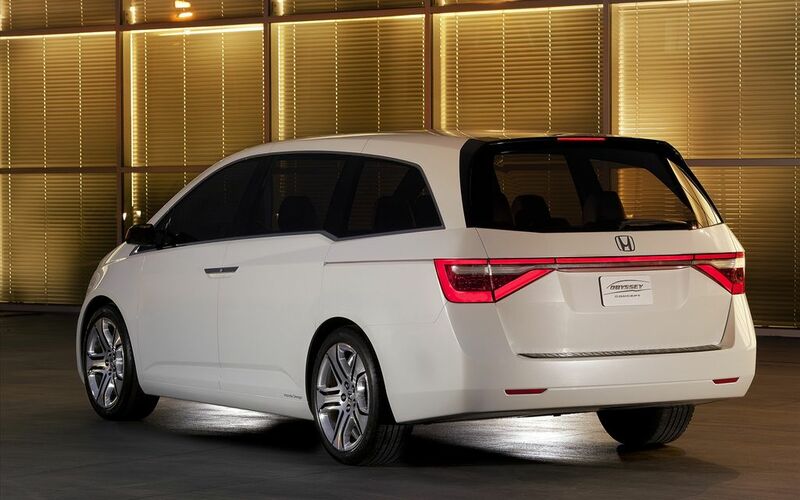 The Honda Odyssey Concept, on display at the Chicago Auto Show, introduces a sleek and distinctive exterior styling direction for the next generation of the industry's best-selling minivan, set to debut this fall, American Honda Motor Co., Inc., announced today. 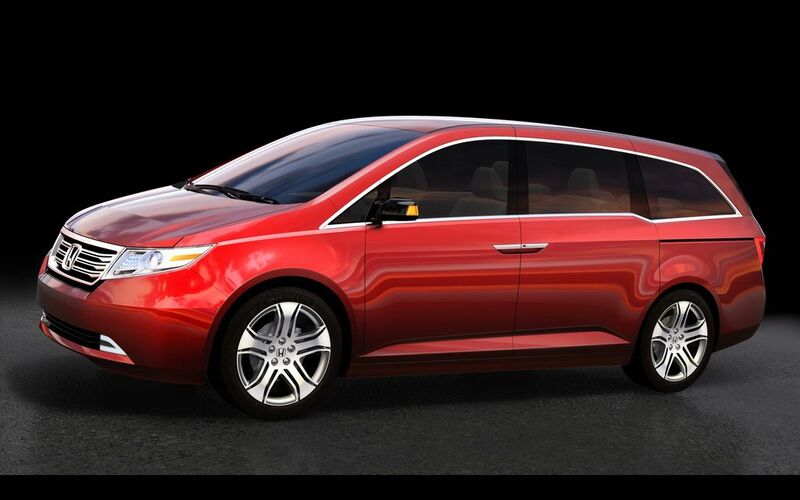 The Honda Odyssey Concept dramatically departs from conventional minivan styling with its low and wide stance, highlighted by a "lightning-bolt" beltline that further distinguishes the vehicle's profile. 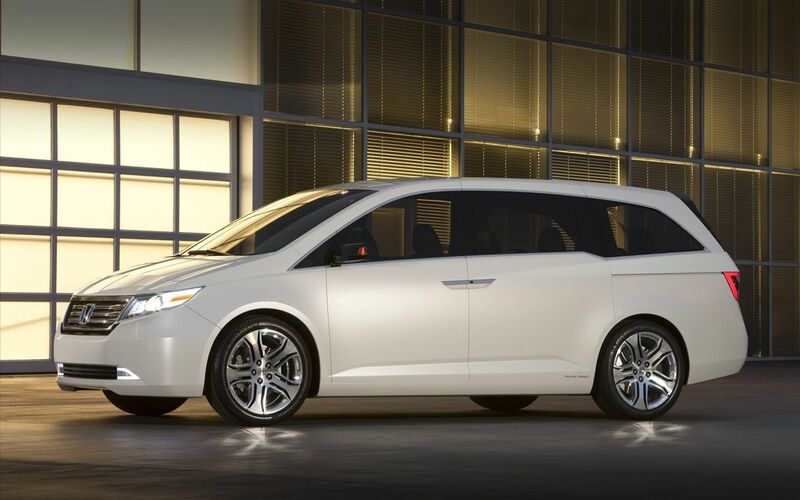 Compared to the current Odyssey, the Concept's slightly lower roofline (-1.0 inch) and wider stance (+1.4 inch) contribute to a sleeker, stronger and more dynamic presence with improved aerodynamics that help increase fuel economy. Forthcoming improvements to the production Odyssey's interior are designed to further enhance the current model's accommodating space for people and cargo. 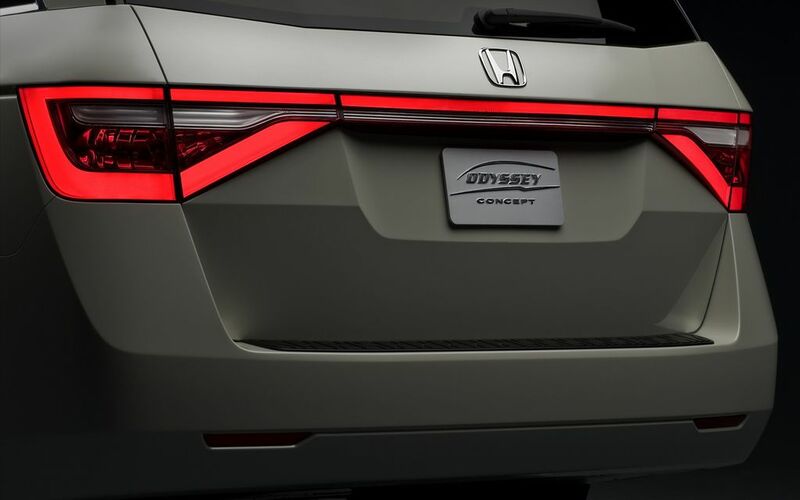 "The Odyssey established its reputation by providing families with what they most want in a minivan - great functionality, an emphasis on safety and good fuel economy," said Vicki Poponi, assistant vice president of American Honda product planning. "Odyssey then further delighted customers with its surprisingly engaging, fun-to-drive and dynamic nature. 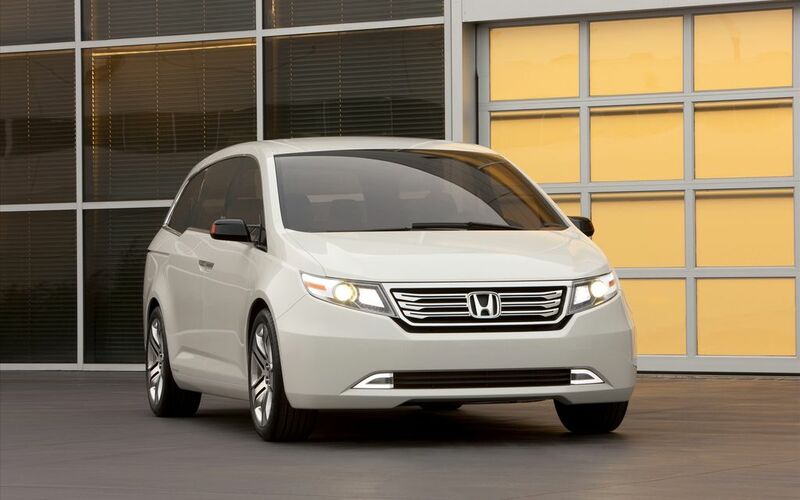 The next-generation Odyssey promises to take these strengths to a higher level while adding more style and personality." The steeply raked front and rear roof pillars, unique side-glass profile, chamfered roof line, and tapered rear cabin shape combine to create a dynamic and distinctive appearance from any perspective. 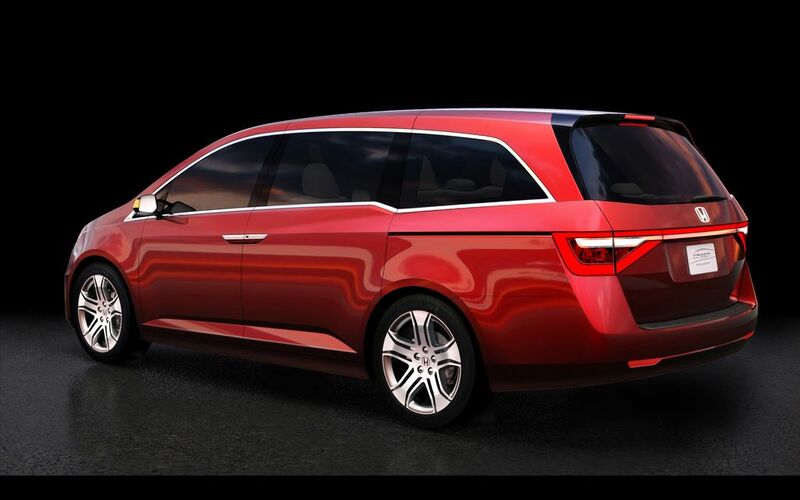 The lightning-bolt beltline dives toward the rear of the vehicle emphasizing the new Odyssey's sporty appearance while enhancing outward visibility for third-row passengers. 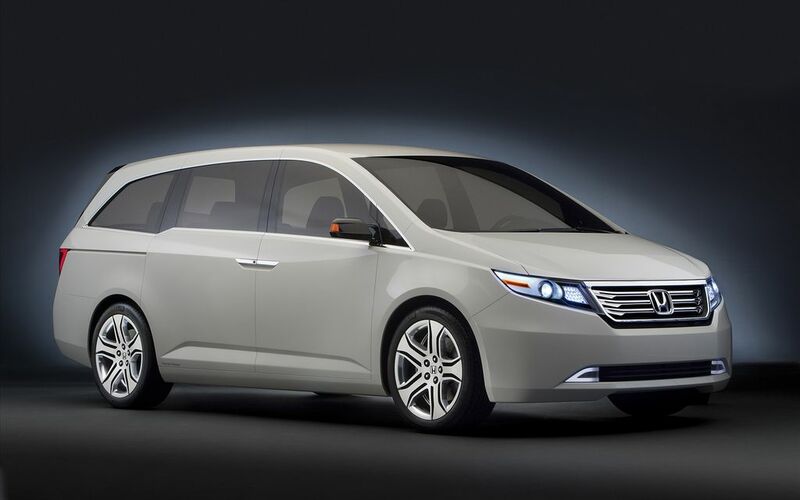 Aggressive body-to-wheel proportions reduce the perception of vertical height common to most minivan designs. Fender flares further accent the vehicle's securely planted and stylish persona. The concept vehicle's projector beam headlights, LED taillights and form-fit fog lights further heighten the sophisticated quality of the design. Enhanced aerodynamics and advanced powertrain technologies will contribute to the next-generation Odyssey's increased fuel efficiency. The all-new 2011 Odyssey is expected to achieve an EPA-estimated fuel economy rating1 of 19 city/28 highway miles-per gallon on select models (preliminary estimate determined by Honda). Currently in its third generation, the Odyssey's unique array of features, including its superior driving dynamics, 3rd-Row Magic Seat® and efficient i-VTEC™ V-6 engine with three-mode Variable Cylinder Management™ (available) all combine to offer a sophisticated environment with room for up to eight people (seven on Odyssey LX). 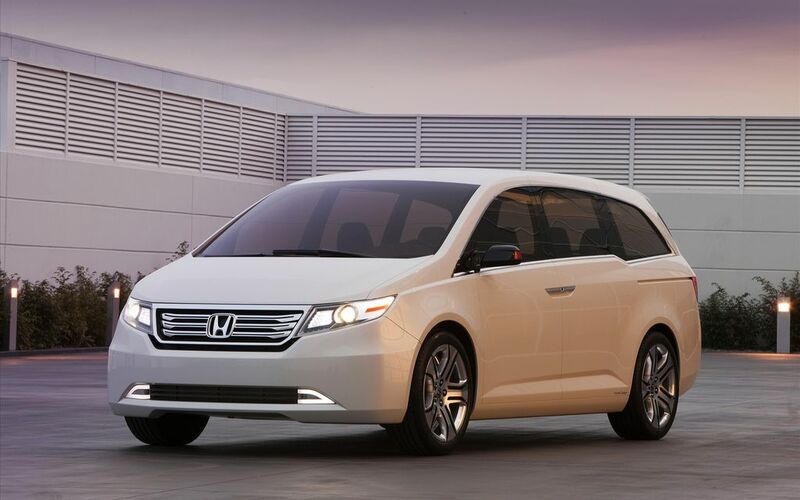 The Honda Odyssey has been America's best-selling minivan since 20082 and is produced exclusively in Alabama by Honda Manufacturing of Alabama (using domestic and globally sourced parts). 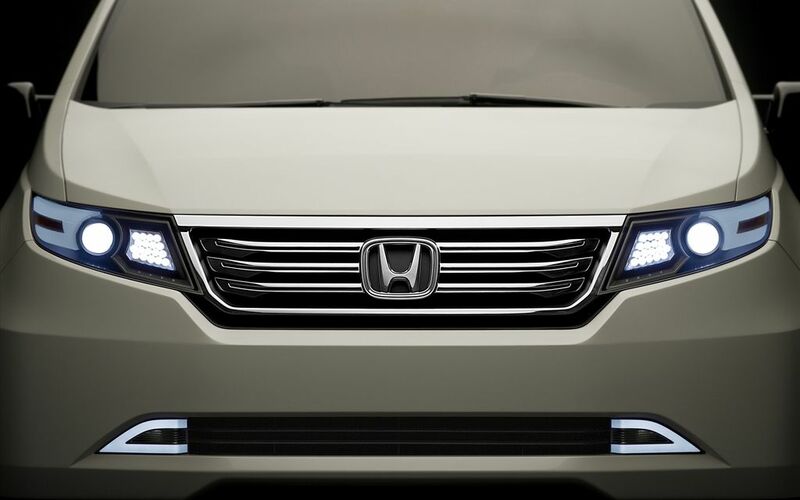 Both the concept and production vehicles, along with all development activity for the 2011 Odyssey, are being designed at Honda R&D Americas in Torrance, California, and Raymond, Ohio. The Odyssey has won numerous awards and critical acclaim. Recent accolades include the Edmunds.com 2010 "Top Recommended" minivan award, U.S. News and World Report 2010 "Best Minivan for the Money" award, Automotive Lease Guide 2010 "Best Minivan for the Money," the Kelley Blue Book award as one of the ten "Best New Family Vehicles of 2009" and "2009 Best Resale Value Award" in the van category, which recognizes vehicles that are expected to have segment-leading resale value after five years of ownership.